The Christian Post shares some of Graham’s words in the document, the rest of which can be found on WSOCTV.com. With regard to financial resources, he stipulated that 10 percent would go to the work of the Gospel. A few weeks ago, Billy Graham’s son, Franklin, conducted a multi-city tour in the vein of the Decision America tour from 2016. This time, he set his sights on the state of California. The message: Christians need to pray for politicians, vote for candidates who support biblical principles, run for local offices, and find a relationship with God through Jesus Christ so their sins can be forgiven. So, here we have Franklin Graham, carrying out the stated will of his father by following the will of his Heavenly Father. 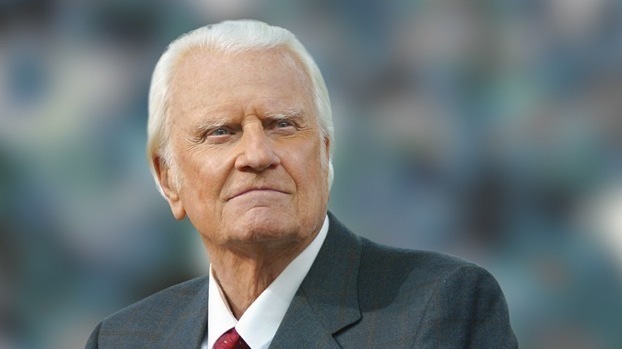 He continues to preach the gospel, and in California, he connected the transformation of the gospel with the potential transformation of culture. Sure, there were political implications; that is a system established by man through which God can work. For us today, we can be encouraged to take the Word of God seriously in carrying out our Father’s will. He has a plan for each of us, He has entrusted a message to us, and He desires to see His people faithfully serving and loving Him. We are His representatives, and that means we represent the principles that we find in His Word. We are called to follow Christ in salvation and to be obedient to His direction. There is much discussion and debate in the Church today about a variety of issues, and if we’re not careful, concentration on what might be termed “non-essential” - but by no means unimportant - issues can distract us from the work of the Gospel that we are called to do. In our pursuit of the political and relational, the spiritual can get lost - the spiritual, the truth of God’s Word, can inform the other realms. True heart change through the Gospel is at the core of our effective work on earth. We have to make sure that we are not spending so much time concentrating on the sins and shortcomings of others and not concentrating on our own hearts. God’s Spirit will illuminate the areas in which we need to grow, confess, and repent, and we have to allow His light to shine in our hearts in order that He might do His healing and restorative work. Read 483 times	| Like this? Tweet it to your followers!